In house, we do everything that we can to reduce our environmental footprint. We have set up a recycling program both in the plant and in the office. The purpose is to implement recycling procedures and reduce waste. Paperless Faxes: All incoming faxes are recieved by email to our reception. Our reception sends the email-faxes to the correct person… eliminating any paper waste. Dual Monitor Workstations: Believe it or not, having two screens eliminates the need to print documents without interuption in your workflow. Designated Recycling Bins: In the office, there are multiple recycling bins for paper, cardboard, plastics and drink containers; this is to ensure our staff are able to stick to their one small bag of garbage allowance per week. To be honest, no one here ever uses a full garbage bag. Electronic Invoicing: To cut down paper usuage, we send our invoices out electronically. Designated Recycling Bins: We have bins for all recyclable materials in the plant: Metal, plastic, paper and drink containers. Corrugated Waste: We have partnered with a local recycing company in order to properly recycle all of our corrugated scraps. 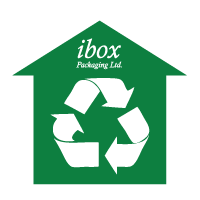 Currently we are recycling 20 TONS of corrugated material each month. Shipping & Receiving: When it comes to shipping out orders, we do our best to make sure our trucks are fully loaded before it leaves. The route is planned out for the best gas mileage to reduce emissions. We also use Novex Couriers, as they are very eco-friendly and use zero-emissions trucks.